Tottenham manager Mauricio Pochettino has urged the Premier League to delay the introduction of Video Assistant Referees (VAR). The technology is set to be used in the league from next season after clubs agreed "in principle" to its introduction last month. 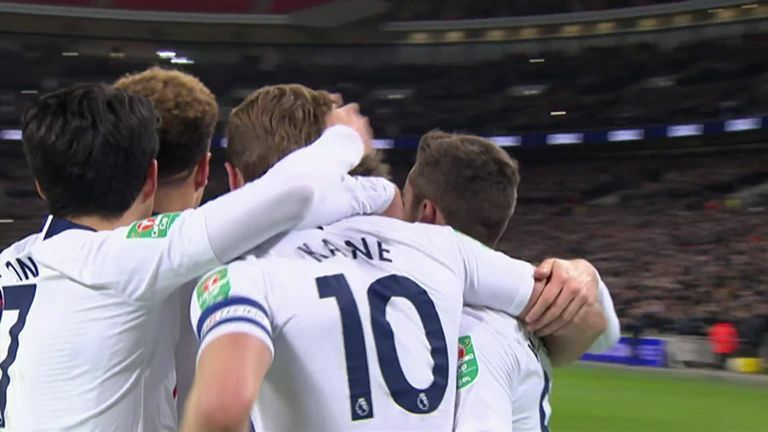 Pochettino is a critic of the technology in its current form, despite it helping Spurs to take a 1-0 lead to Chelsea for the Carabao Cup semi-final second leg on Thursday night, live on Sky Sports. In the first leg at Wembley a fortnight ago, VAR awarded Tottenham a penalty after ruling Harry Kane was onside in the build-up to the spot-kick, which the England captain scored. However, Pochettino believes it is not ready to be used in the Premier League. He said: "For me, I think it is a good idea to delay because if we don't have all the information and don't know how it will work or how we can better develop the system, it is better to stop for one year or more. "That is my opinion if people ask me - I don't know if Daniel (Levy) will ask me or the Premier League. "But watching every single game in Europe now, nobody is happy. I promise you - nobody! What worries me a bit is that there is going to be a situation where football starts to annoy fans. "This business is so important and our fans - football fans - must be happy. If you stop for five minutes for a decision, I don't know how they are going to behave. "The Premier League today is the best spectacle in the world, maybe with the NFL or NBA in America. But certainly it is the best show in Europe or in football. So we need to be careful how we develop this system and how we use it." Pochettino believes the time taken to deliver decisions once they have been reviewed by VAR is a major issue for spectators. "I remember the experience of playing at Wembley in the snow against Rochdale in the FA Cup replay," he said. "There was an incident in the first half that took forever to decide. There were 30-40,000 fans there for the start. For the second half? Ten-thousand less. "That situation was difficult to accept and I am not sure if you get a benefit or not. "We are not ready to accept this type of situation. I was watching a lot of situations that happen in different leagues. "Those who are pro-VAR are saying that the technology is going to help. But football is about mistakes. That's players, then managers but also the referees. "How the Premier League is today is fantastic. Goal-line technology is the best. But after that, it is about whether the referee sees the incident or not. It is his interpretation. That is how we were taught to play football. It is about how the referee perceives things."